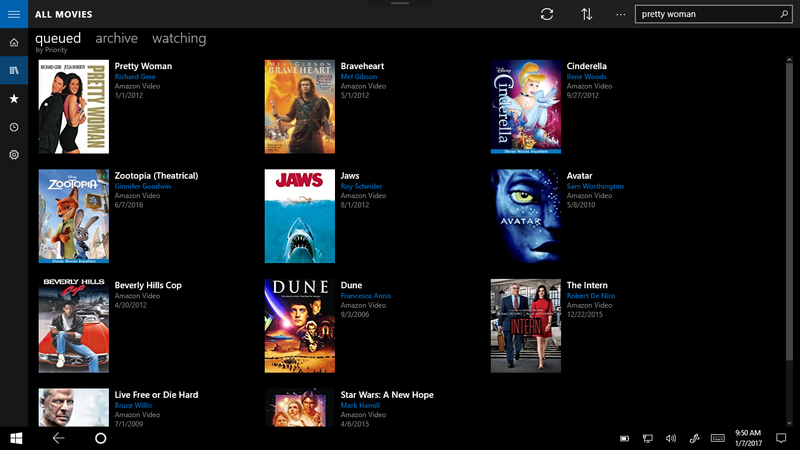 The Moviequeue App lets you create a movie library for managing titles via shelves. 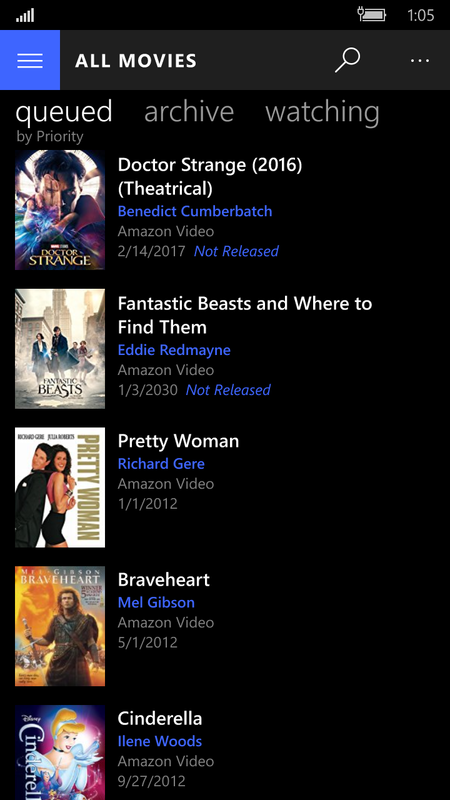 Moviequeue allows you to manage a list of movie titles across shelves for reference and/or future viewing. Tied into Amazon Video it can find streaming video or boxed videos such as Blu-Ray and DVD. Reminders allows notification when pre-release titles become available.